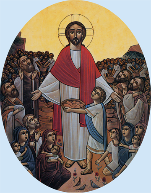 serve the Coptic community in the USA. you, and 800,000 ATMs worldwide. Credit Unions in Canada and Australia. until now. Please take an action to form your Coptic Credit Union. What is a Credit Union (CU)? the country, Copts won't miss traditional institutions. How I benefit from the Credit Union (CU)? make sure the Copts' interests come first. regulated to provide Banking services to the Copts. for donations or any sort of financial support from the Coptic community.